I’m so happy to have been nominated for this awesome award by the fantastic blogger Stephanie Thomas. Thank you very much for nominating me! You can find her blog at S.J. Thomas Book Blurbs. Stephanie is a thriller writer who counts among her favorite books HANNIBAL and THE VELETEEN RABBIT. She loves reading fiction. Stephanie also loves cats, and she and her husband own two dogs and five cats. Besides writing, reading, and her large pet family, Stephanie enjoys gardening. THANK YOU SO MUCH Stephanie!!! I genuinely appreciate your support and the nomination for this award. 1.) I adore spending time with my grandchildren. There is nothing in the world like it. 2.) I love to bake and cook, but when it comes to decorating cookies I have no patience. 3.) I wish days were twice as long. There are so many things I want to do and so many books I want to read, and there’s never enough time. 4.) I love decorating for Christmas and Halloween and just about any other occasion that arises. 5.) I love to be out in nature, gardening, hiking and such, but my allergies and asthma often keep me indoors. 6.) I would like to be an electrical engineer. 7.) I love numerals that contain the number 7 – 17, 27, 77, etc. 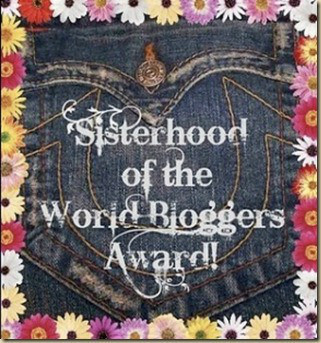 So now to nominate 7 other bloggers… These are all awesome blogs that I highly recommend you check out! Great people, interesting postings, good conversations… you won’t be disappointed! Congratulations Nominees! I wish you a fabulous day today and every day! Michelle, you are such a wonderful and fun blogger to pal around with on social media. I am so excited about this award – and soooo flattered! Thank you!! You are welcome. You have an amazing blog, and I look forward to checking it out daily. And thank you again, I most definitely enjoy our social media friendship. Cheers – thank you! I so appreciate your support, and congrats to you! You are welcome. Thank you for providing such wonderful blog posts. Thank you. You have a beautiful blog, and I enjoyed browsing. I’ll stop back often. Thank you. I am envious of your mother’s cake decorating ability. I worked in a bakery while in college, and I was in awe of the cake decorators there. Thank you so much. I really appreciate that you took the time to stop by and comment.